The new ratings are out! Follow this link to see what’s new in 2019. I get emails, dozens of them every year, from people coming to Portland. They want to know one thing: which breweries should I go to? (I act as one of the Travel Oregon ambassadors and get a few questions about breweries outside the city, too.) Well, I'm tired of writing the same email. And, at the risk of offending the breweries that don't appear on this list, I'm going to go ahead and publish it here on the blog. This list is not static. New breweries come on the list, others fall off, and still others quit the scene altogether (we recently lost The Commons and Fat Heads’ demise is imminent). Each year, I make my recommendations based on the breweries doing the best work at that moment. 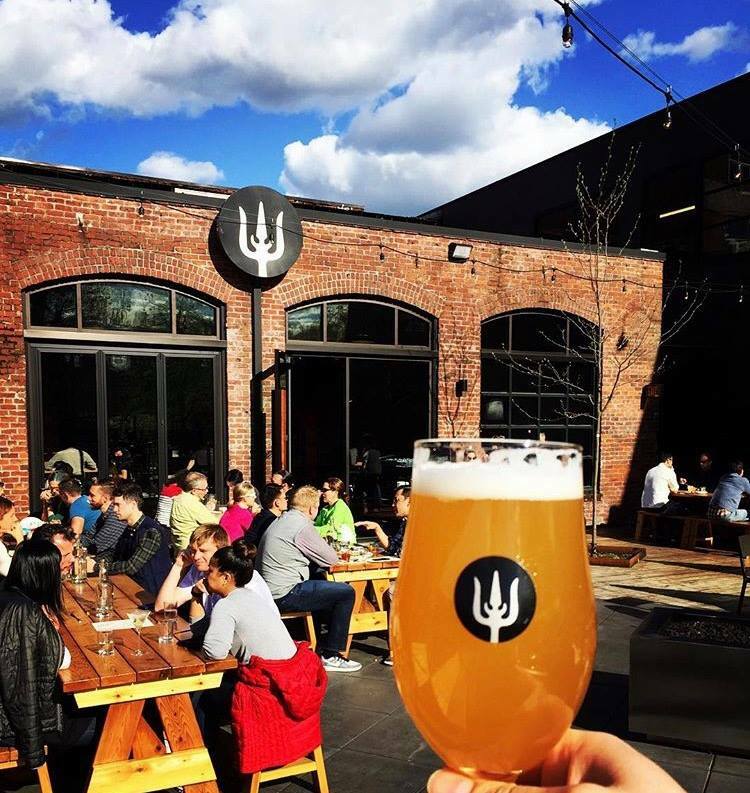 Because there are so many excellent breweries in town, I make recommendations solely based on the beer, though I know ambiance and food are important. I look at things like overall quality of the core lineup, number of exceptional beers, creativity and new products. I also like to expose people to the range of different kinds of breweries Portland has--this is not just an IPA town anymore. My goal with the list is to provide visitors with a selection of breweries so that at least a few are smack-dab in their wheelhouse; I want them to go home feeling like they’ve tasted Beervana’s best beer. So, for 2018, here is that list. Baerlic ("barley" in old English) debuted to a modest reception in 2014, but has steadily and sneakily grown in stature. Difficult to pigeonhole, Bearlic produces a line of seemingly classic styles, though some have been tweaked in surprising ways. Their Oatmeal Pilsner is the chief example and one of their standout beers. They do an authentic 3.6% Scottish ale, a Vienna lager, and an oatmeal milk stout--and of course a full complement of hoppy American ales. The brewery has a special affinity for fresh-hopped beers, including one of the few very good fresh hop lagers, so schedule a stop in late September. Taproom: 2235 SE 11th. Hours: Mon-Thu 4-10pm, Fri: 2-11pm, Sat Noon-11pm; Sun Noon-9pm Food: bar snacks, outside food welcome. When Breakside debuted in 2010 in the distant Northeast neighborhood of Woodlawn, it was known for its eclectic beers. Within a few years, the reformulated flagship IPA won gold at the GABF, and its new reputation was solidified as Portland's IPA king. Last year, when the Slabtown outpost opened, Breakside decided to use the location to showcase hoppy ales almost exclusively. Breakside's greatest asset may be its consistent excellence, whether making a Salted Caramel Stout, Passionfruit Sour, Pilsner, or one of its many IPAs. Many people consider it the city's best brewery, and with good reason. Make a trek to the Dekum location if you want a broader range of their offerings. SLABTOWN. 1570 NW 22nd. Location: Sun-Thu 11am-10pm, Fri-Sat, 11:30am-11pm. DEKUM 820 NE Dekum, Hours: Sun-Thu 11:30am-10pm, Fri-Sat, 11:30am-11pm. Food: full menu both locations. Culmination is another recent arrival to the city, landing in its inner Eastside location in 2015. Founder Tomas Sluiter had a decade of experience before he launched Culmination, and it shows. His real passion is for the forgotten and unloved styles (Burton, mild, dunkel lager), wonderfully interesting experimental styles (a recent example: Norwegian farmhouse ale), and barrel-aged wild ales from his inoculated foeder. Culmination is also one of the last defenders of dark ales, so if you want porters and stout, they always have 'em. Of course, hoppy ales are a regular and regularly-lauded feature. Deschutes celebrates its 30th anniversary in 2018, and it's one of the few first-gen breweries that still commands attention in Oregon. Although still loyal to its original lineup of English-inspired pub ales, Deschutes has consistently been willing to experiment. Bend's big brewery was an early adopter of wild (and regular) barrel-aging, modern hopping techniques, and has continued to add wonderful updated sessional ales to its line. In the Portland brewpub, you'll find 20 taps divided about evenly between regular offerings and those made onsite. Deschutes has perhaps the broadest range in the city, including two traditional cask conditioned taps. It's conveniently located downtown in the Pearl. Brewpub: 210 NW 11th. Hours: Sun-Wed 11a-10pm, Thurs 11am-11pm, Fri-Sat, 11am-midnight. Food: a full menu. If there is a godfather of Oregon brewing, his name is John Harris. John got started in the 1980s with the McMenamins before becoming the founding brewer at Deschutes. From there he spent 20 years at Full Sail before opening Ecliptic in 2013. From his body of work, everyone knew John would offer a lot of IPAs, and they were right. What was unexpected was his devotion to light sour ales, typically made with fruit. Since John started making IPAs three decades ago, you'll find a kind of historical overview of the style, up to and including a perfectly modern hazy IPA. John's a stargazer, which accounts for the name and design accents in the pub. Brewpub: 825 N. Cook. Hours: Mon-Thu 11am-10pm, Fri-Sat 11am-11pm, Sun 11am-9pm. Food: a full, seasonal menu. Ex Novo arrived in 2014 boasting an interesting twist: it was the city's first and only non-profit brewery. 100% of profits go to charities. It makes this list not because of its good works, however, but its excellent beer. The beers rotate often, and only a couple have become regular standards--an IPA and a really nice Mexican-style lager. Beyond that, expect an eclectic blend of standard and obscure ales, lagers, sour ales, and offbeat creations, all rotating in and out (some return seasonally). Ex Novo consistently offers a selection of lower-alcohol beers and a environment that encourages longer sessions. Brewpub: 2326 N. Flint. Hours: Mon-Thu, 3-10pm, Fri 3-11pm, Sat 11am-11pm, Sun 11am-10pm. Food: a fairly diverse full menu. Van Havig and Ben Love had nearly thirty years of combined experience as brewers when they founded Gigantic in 2012. The original notion was to have only one regular beer--an IPA--and brew everything else one-time only. Their commitment to rotation has weakened as complaining fans saw their favorite beers vanish forever. Gigantic now does a regular kolsch and double IPA and seasonals find their way back into rotation, too. That said, no brewery favors variety more than Gigantic, and if you visit the taproom (known formerly and charmingly as the "Champagne Lounge") you'll also find beers that never make it into bottle. Taproom: 5224 SE 26th. Hours: Mon-Weds 3-9pm, Th-Fri 2-10pm, Sat Noon-10pm, Sun Noon-9pm. Food: Hawaiian food truck (closed Sunday). This is the brewery, because of its limited taproom hours, most likely to be missed by visitors--but one many Portlanders consider our best. Founder Alex Ganum was heavily inspired by the beers of Belgium when he opened Upright in 2009, but over time he has extended his approach so that it has become entirely original. The show-stoppers are barrel-aged wild ales like Fantasia, Hearts' Beat, and Four Play. Many harness the bounty of local fruit, but some, like Pathways Saison, are just vintage-blended. Because of their restrained acidity and supreme balance, Upright makes the kind of wild ales that nearly everyone enjoys. You'll also find a pilsner, IPA, and other more simple fare--but none of it standard. This is truly one of America's standout breweries. Tasting Room: 240 N. Broadway, in the basement. Hours: Thu 5-9pm, Fri 4:30-9pm, Sat 1-8pm, Sun 1-6pm. Food: none. Wayfinder opened its doors in late 2016, but didn't start brewing its own beers until well into 2017. The wait has been worth it. Co-founder Charlie Devereux (previously co-founder of Double Mountain) had a vision to recreate the beer hall drinking atmosphere of Bavaria and Bohemia with sessionable lagers and ales, and went on an extended tour those locations in preparation. The pub is enormous, sprawling out to a huge patio usable in the fairer months, and the beer hits the nail perfectly. Brewer Kevin Davey makes classic Czech styles (and appropriately, using decoction and Czech ingredients), a wonderful weizen, and of course an IPA or three. I'm reluctant to add breweries to a recommended list that have been open less than a year, but it’s impossible to overlook Wayfinder. Brewpub: 304 SE 2nd. Hours: Sun-Thu 11:30-10pm, Sat-Sun 11:30-11pm. Food: a full menu. After earning a master's degree, Alan Taylor was living in Berlin thinking about continuing with a PhD in language when he decided instead to get a degree in brewing. He went to VLB in Berlin and then spent more than a decade bouncing back and forth between Germany and the US as a brewer. Taylor finally founded Zoiglhaus in 2016, a brewery that uses his skill and interest in producing classic German beers (and a few American ones, as well). In Berlin, he studied the obscure Berliner Weisse style and makes one of the best examples in the world, and in 2017 his pilsner won gold at GABF. Everything Taylor does is good, but his German specialties--often obscure styles--are the reason to visit. Brewpub: 5716 SE 92nd. Hours: Daily, 11am-10pm. Food: a full menu. 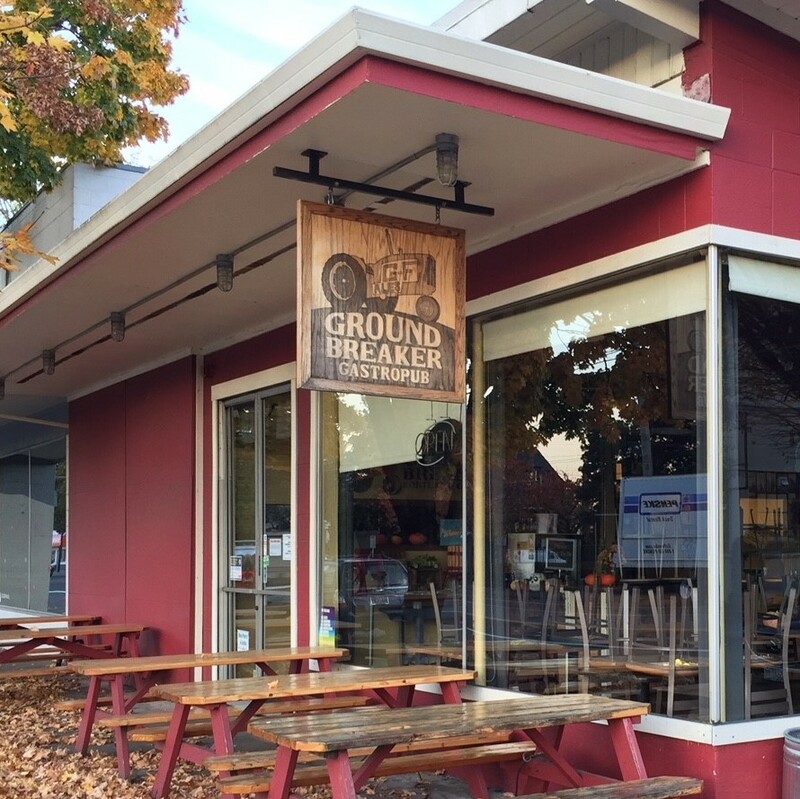 Ground Breaker often gets left off the best-of lists because of its special category (the entire facility is entirely gluten-free). This is a shame because the beers are excellent on their own terms--not just because they're gluten-free. Founder James Neumeister spent years perfecting methods to make GF beers that look, feel, smell, and taste exactly like any other beer, and he's won gold medals at GABF in three of the last four years. His IPA is one of the best of its style in the city, full stop. And while this list largely ignores food, being able to enjoy sandwiches, pizzas, and cookies with your tall pints of beer is an incredible treat for gluten-free drinkers--and will even please their gluten-loving friends. Gastropub: 2030 SE 7th. Hours: Wed-Sun noon-9pm. Food: a full, gluten-free menu. Cascade Brewing does make regular beers, but is famous for brewer Ron Gansberg's barrel-aged sour program. They're unusual in that Gansberg only uses Lactobacillus and not wild yeast, resulting in extremely sharp sours. Most of his creations use fruit, and most are aged months or years before being blended. Pub: 939 SE Belmont. Hours: Sun-Mon noon-10pm, Tues-Thu noon-11pm, Fri-Sat noon-midnight. Food: a full menu. Great Notion was ahead of the curve when it debuted with New England-style IPAs two years ago, and now defines the style in Portland. The brewery gets less attention for its large range of sour ales, but they are perhaps the more interesting beers. Their success was so immediate that another brewery is already under way. Brewpub: 2204 NE Alberta. Hours: Sun-Thurs noon-10pm, Fri-Sat noon-11pm. Food: a full, unusual menu. Hopworks Urban Brewery, an organic brewery that was showing its age until 2017, when it released a slate of excellent new beers. The newly re-engineered flagship illustrates the changes afoot; once an old-school caramel-and-bitterbomb ale, it has become a lighter, far juicier beer. That's typical for what's happening at the brewery. Main brewpub: 2944 SE Powell. Hours: Sun-Thu 11am-11pm, Fri-Sat, 11am-midnight. Food: a full menu. 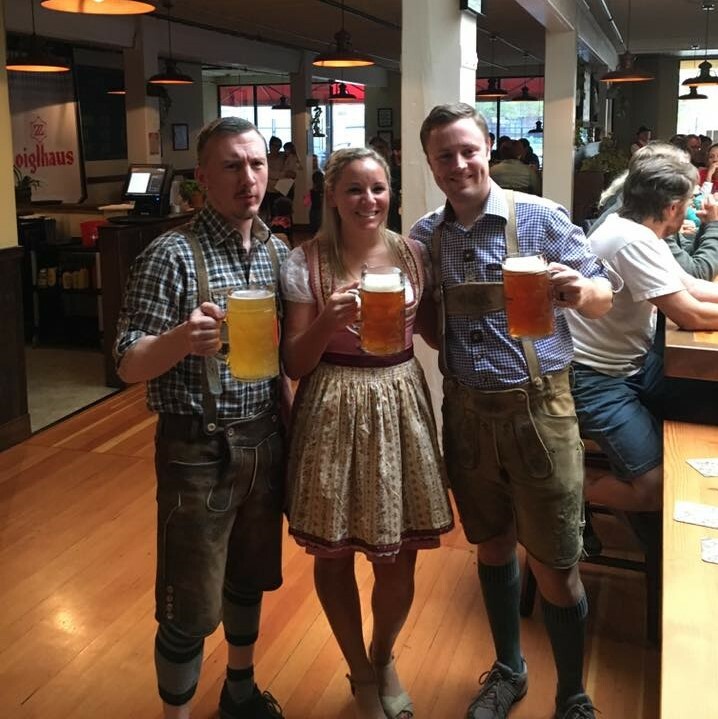 Widmer Brothers is Portland's second-oldest brewery (by a few months) and is famous for its flagship Hefeweizen. While the packaged beers are fairly pedestrian, the reason to visit is the taproom, with a lineup of excellent pub-only beers led by Tom Bleigh on the experimental system. You'll find beers as unusual here as any of the newer, buzzier breweries. Taproom: 955 N. Russell. Hours: Mon-Fri 3-10pm, Sat-Sun, noon-10pm. Food: snacks only. Other breweries you might consider visiting include: 10 Barrel (1411 NW Flanders), now owned by AB InBev, but which has a great lineup of pub-only beer; Base Camp (930 SE Oak), which is developing an impressive barrel program; Hair of the Dog (61 SE Yamhill), a Portland institution where you'll find big, boozy beers unlike anywhere else; Level Beer (5211 NE 148th), which debuted in 2017 with wonderful variety and which may well be in the top ten next year; Occidental (6635 N Baltimore), a German-focused brewery with perhaps the best pilsner in Portland; Old Town (5201 NE MLK), an under-the-radar brewery making a great range of ales and lagers; and Sasquatch (6440 SW Capitol Hwy), the best brewery on Portland's west side. Choose wisely, intrepid traveler; the delights of Portland are too numerous to sample in one visit. Unless you’re here a couple weeks, you won’t begin to exhaust our beery treats—but visit these breweries and I guarantee a good time. PHOTOS: Brewery websites and social media accounts.